The Buffalo Bandits started the 2012 season with an apology, and finished it with an reveral of fortune. The news in between wasn't too good either, especially by Bandits' standards. It was, by any definition, a trying season. The apology came on the first day of training camp in December at the First Niagara Center. General manager and coach Darris Kilgour had gone through a difficult offseason because of an incident on May 9 that included a charge of driving while intoxicated. Kilgour lost his license for a period of time. Right after that first practice, he sounded humbled when he addressed the subject. "I embarrassed the organization, I embarrassed myself, my family, all Native Americans across the board," he said. "I lived up to the stereotype I'm very disappointed with myself. I take full responsibility for it. It's something I can't do, and it's something I shouldn't have done. I feel very, very bad about it." Kilgour still could fulfill his duties to the team, and when he looked out at the players on the turf that first day he saw evidence of the ever-changing landscape of the National Lacrosse League. The Boston Blazers had suspended operations the previous fall, so the league would go from 10 teams to nine. Not only was that a step in the wrong direction for the league, but it caused a difficult situation in terms of alignment and playoffs. How many teams out of nine should qualify for the postseason? The league considered its options and opted to allow eight of the teams to make the playoffs. The East (four teams) and West (five teams) remained in effect. However, a fifth-place team in the West would take the last postseason berth if it had a better record than the fourth-place team in the East. There were no byes, which would have been necessary with a six- or seven-team format. With eight teams in, there still was no way around the fact that each team would complete a 16-game schedule in order to eliminate one team from the playoffs. The Boston folding also put plenty of top-notch players up for grabs in the dispersal draft, as the Blazers were loaded with talent. With about 10 percent fewer jobs in the league, the level of play figured to be that much better. Plus, if a player had a bad couple of weeks, there was a good chance that someone on the proverbial street could be brought in without much of a drop in talent. The Bandits' first pick in the dispersal draft was Kevin Buchanan, a supporting player on a talented Boston offensive unit. He figured to help, but he lived in the Boston area and had to fly in for games and practices. Buchanan was joined by some other "fly-in" players, such veteran Kyle Sweeney and rookie Jeff Cornwall. The Bandits had mostly stuck to players in Western New York and Southern Ontario, which allowed almost everyone to drive in to practices and games. That represented a good-sized change in philosophy. The biggest trade of the offseason was somewhat stunning. The Bandits sent Chris Corbeil to Edmonton for two draft picks, including a first-rounder in the fall of 2012. Corbeil had improved greatly the year before, and was one of the team's best young players. But there was a chance that Edmonton would have a poor year, giving Buffalo a top prospect in the transaction. The number of talented players who turned up in training camp was considerable, and there figured to be surprises on cut-down day. Brett Bucktooth certainly qualified, as he was dropped. Travis Irving, Brenden Thenhaus and Jay Thorimbert also sat out. Meanwhile, the biggest addition was Luke Wiles, acquired in a trade from Washington. Wiles was an All-Star who asked to come east for family reasons. Mat Giles came in a trade, while Jeremy Thompson was a second-round draft choice. It was tough to know how good anyone was in the NLL before the games began, relatively speaking. But the Bandits had come within a goal of reaching the championship game the year before, and they apparently had added talent in the offseason. That added up to a contender status in 2012, so it was thought. That thought looked good at home on opening night, when the Bandits knocked off Toronto, the defending champions, 14-10. Goalie Mike Thompson had one of his best games as a Bandit, while Wiles had three goals. Meanwhile, the Rock lost Blaine Manning to a broken collarbone in the game; they eventually grabbed Thenhaus off the Buffalo practice squad as a replacement. It was more of the same a week later. John Tavares, still in form at the age of 43, had four goals and four assists to help the Bandits beat Rochester, 12-9. That gave Buffalo a 2-0 start with wins over its two biggest rivals. It was a time to feel good about the Bandits' chances, although Tavares sounded a warning. "It's a great start, but it means nothing. There are 14 games left. We can't be satisfied, we have to build on this." The good feelings lasted through the third quarter of the team's next game, a home matchup with Philadelphia. Then the Bandits played their worst quarter of the year to that point by fa, giving up six goals to lose a 13-10 decision at home. Buffalo had to get up early the next morning to fly to Minnesota for a game that night against Minnesota. The Swarm had a 10-5 lead at the half and scored the third quarter's only seven goals to break the game further open. The result was 19-11, but it wasn't even that close. 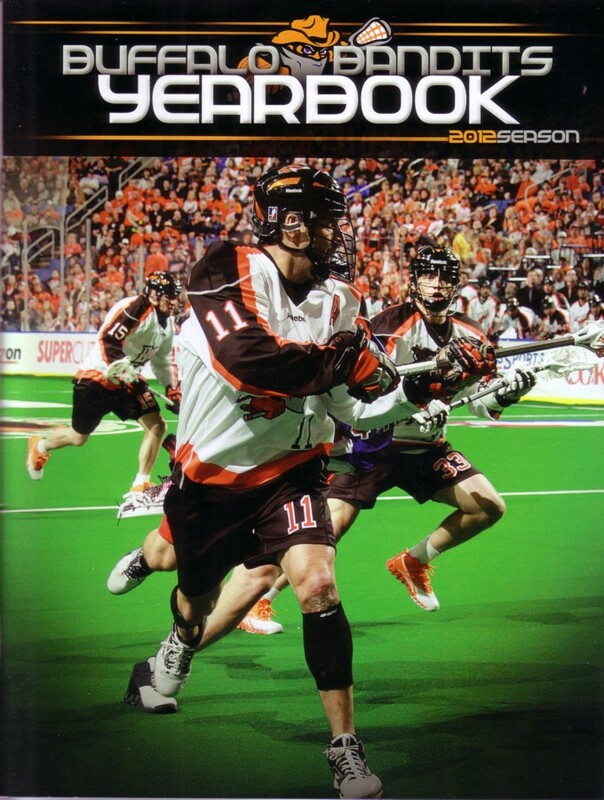 The 19 goals allowed by the Bandits were the most ever by a Buffalo team coached by Kilgour. Just like that, the good start was over. Buffalo was better in its next start but still lost, 10-9, to a struggling Washington team. Kilgour had his most vivid quote of the year after watching his team give up the ball in the final seconds of regulation time in order to give the Stealth a chance to tie it. "We deserved to lose that game. We’re the stupidest team on the face of the planet right now,” he said. You knew Kilgour wouldn't stand still with a three-game losing streak, and he didn't -- he cut Sweeney and traded Cornwall to Edmonton for a pair of second-round draft picks. That means two of the "fly-in players" were gone. Thorimbert and Travis Irving came up from the practice squad to take their places. When that didn't help avoid a one-goal loss in Philadelphia on February 12, Kilgour looked at the schedule that revealed a three-week break before the team's next game and made a major move. The Bandits gave up first-round draft choices in 2013 and 2014 to Minnesota for goaltender Anthony Cosmo. The reasoning was rather odd. Kilgour said that he wasn't unhappy with the goaltending and merely wanted to shake up the defense. It's more likely that he wanted to be loyal to existing starter Thompson in public. Two first-rounders was a high price to pay, but Cosmo -- sitting home while waiting to be traded East -- was a veteran goalie who might go into the league's Hall of Fame some day. Shortly after that, Buffalo dropped Hamburg native Frank Resetarits to make room for Cosmo on the active roster. Cosmo started in Buffalo's first game after the break on March 3, but he couldn't help. The Bandits lost to Colorado, 16-13, to make it five straight losses. "Our defense was terrible, and until we fix the defense we're going to be a bad team, and we are a bad team right now," Darris Kilgour said. A week later, Rochester erupted for a 7-0 burst in the second quarter and merely had to hang on for a 13-10 win. One Rochester longtime observer said he's never seen the Bandits look as bad as they did in the second quarter. The 2-6 record tied the team record for the worst eight-game start. Six straight losses was a franchise record, too. "I'm at a loss for words. It's not a lack of effort, it's a lack of smarts," Smith said. The winning drought ended on March 16 with a surprising 21-14 win in Toronto, as Wiles had five goals and Tavares and Mark Steenhuis had four each. They followed it a night later with a 13-10 win over Minnesota. Had the Bandits lost those two games, Kilgour said he might have backed up the truck and had a clearance sale of his roster. The team's problems were far from over. Buffalo was run over by a good Calgary team, 17-6, the next week, and then lost at home to Toronto. The embarrassment of missing the playoffs was starting to loom in the background when Cosmo finished kicking off the rust and picked up his game considerably for the final month of the season. Buffalo beat Philadelphia and lost in Edmonton, but still only needed to beat Rochester in the next-to-last game of the season to clinch the last postseason spot. The Bandits answered that call with a 14-9 win over the Knighthawks. The season-ending game with Washington was irrelevant, but the Bandits won anyway, 17-16 in overtime, to finish 7-9. Individual performances were mixed. Tavares was second in the league in goals with 41 and was named to the second team All-NLL squad. If he needed a sign that his level of play was dropping in order to consider retirement, he certainly didn't find one in 2012. Wiles was right behind with 39 goals. Steenhuis was the subject of some conflicting and odd statements from the front office about his play, but he still had 62 points despite not spending the entire year with the offensive unit. However, Tracey Kelusky's play continued to fall off, in part because of a concussion suffered during the season. Buchanan and Roger Vyse never did find their scoring touches, and Chad Culp's scoring fell off as the season went on. On defense, the Bandits looked a little thin once they got past the big three of Smith, Chris White and Scott Self. Tom Montour's game fell off, while Thompson and Jimmy Purves were typically inconsistent considering their youth. Still, there was hope going into the playoffs. Buffalo was 5-3 in the second half of the season. Toronto was the only team in the East that had been above .500 (9-7), and the Bandits beat them in two of three games. In a best-of-one playoff format, any team, the logic went, could get hot. The Bandits looked just like that hot team in the playoff game in Toronto on May 5. Buffalo jumped out to a 4-0 lead after the first period, as the Rock looked confused offensively. Toronto picked up its play in the second quarter, but still trailed, 6-2, after 30 minutes. Bandits' fans could dream a little of the possibilities. But wait. Every goal in the final minute is reviewed. After officials looked at the video, the goal was disallowed. Game over. Season over. "I got ahead of the defenseman, and he pushed me into the crease. It's a rule," Kelusky said. The Bandits hadn't scored in the final 34 minutes of the game, and that ultimately cost them the game. If that didn't make them feel blue, the fact that Rochester -- a team that Buffalo handled easily in Game 15 -- won the NLL championship certainly did. Still, the ending was a very fitting way to send the Bandits off into what figured to could be a transformational offseason. "It was a stupid play at a stupid time," Kilgour said. "It explains our whole season."